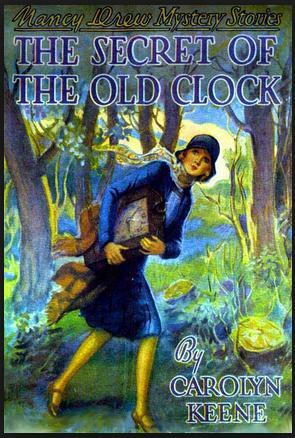 I was a huge Nancy Drew fan as a kid (not to mention Trixie Belden, Cherry Ames and Hardy Boys). I would sit for hours under the mimosa tree in the back yard with my very best friend Gina and pour over those books, certain that when I was older and wore pumps I would be solving crime and unraveling mysteries just like my heroines. Trixie Belden books were great, because there were always fun mysteries to solve set in the gorgeous lush hills of the Hudson Valley. The Trixie series had something the other books did not… a rich neighbor girl who had horses! I loved that Trixie was a tomboy like myself. I could seriously relate. Cherry Ames was a wonderfully plucky and clever girl who became a nurse at the outset of WWII instead of becoming a wife. Again, very relate-able. 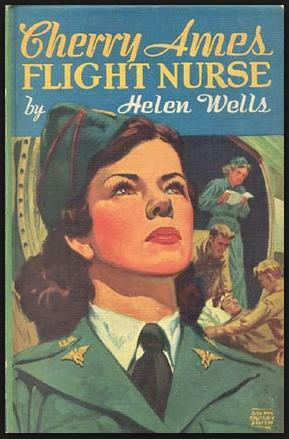 The series follows her through nursing school to the battlefield in titles such as Cherry Ames Student Nurse and Cherry Ames Army Nurse. Then on to more banal nursing jobs after the war ended including Cherry Ames Department Store Nurse. lol! I love the first six or so books in the series especially. Which brings us to last night. Last night I was looking for needles to cast on for a swatch and I KNOW I have a set of double pointed US5 needles. But where were they? It seemed as if my inner nine year old was hot on the trail of a new mystery. I’m not exactly the neatest egg in the carton, but I’m not a complete wreck either, and my needles could only have gotten so far. I looked everywhere that I thought they might be and came up with nothing. Well not exactly nothing. I did find my missing needle gauge. I need to begin my swatch tonight so I’m going to buy a new set on my way home today. I guarantee you that they will turn up shortly after my purchase. They’re probably on some unfinished object in the bottom of a plastic bin, covered by yarn stash. Hmmm. Maybe this weekend is a good time to go through my stash and organize a bit. Or maybe I’ll just curl up on the couch and re-read the Mystery Off Glen Road.